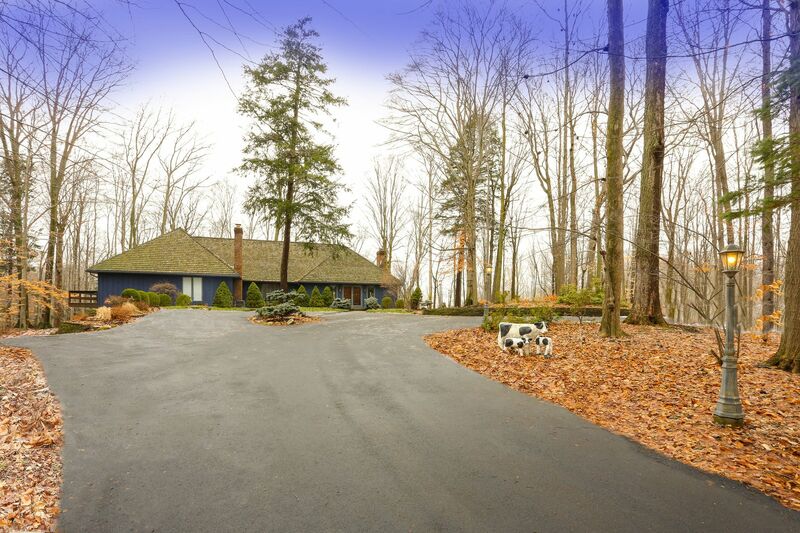 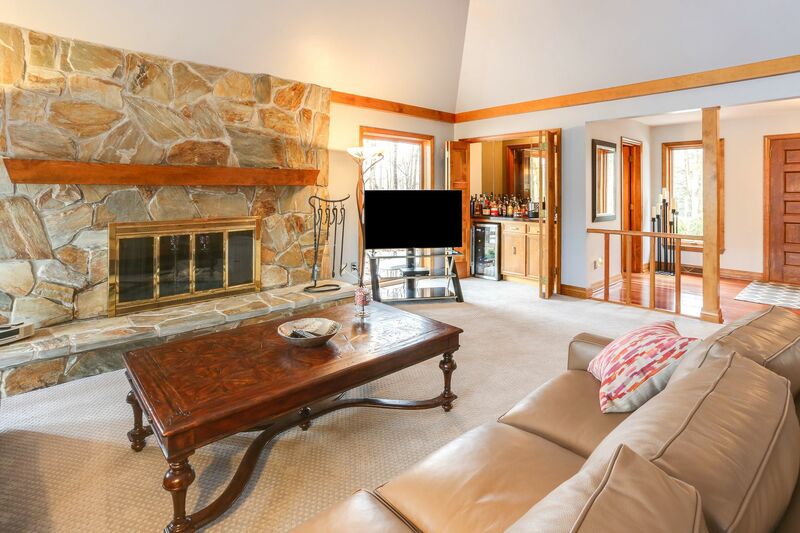 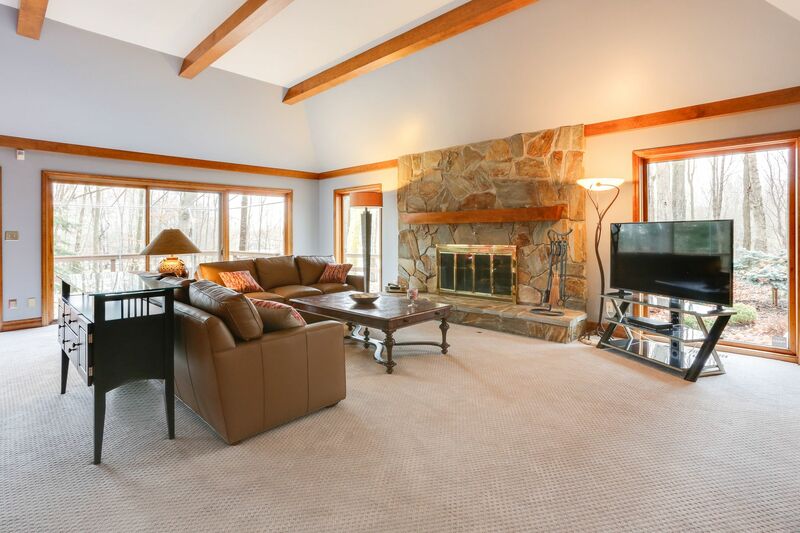 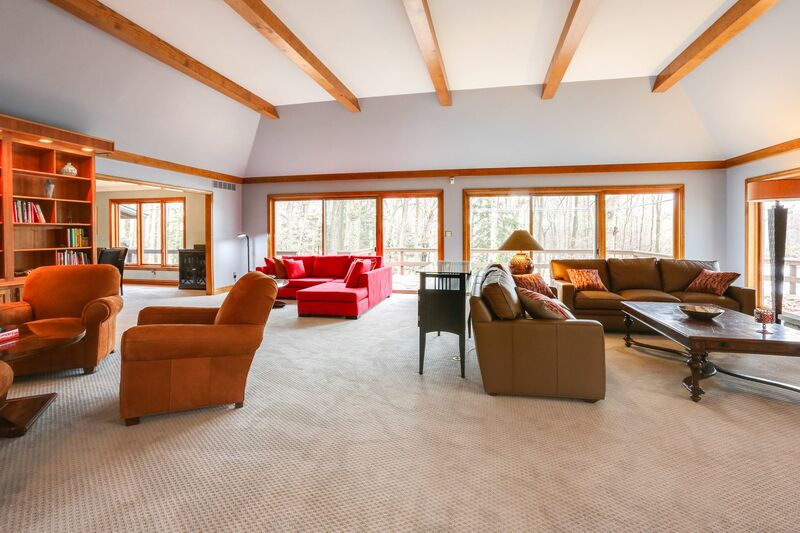 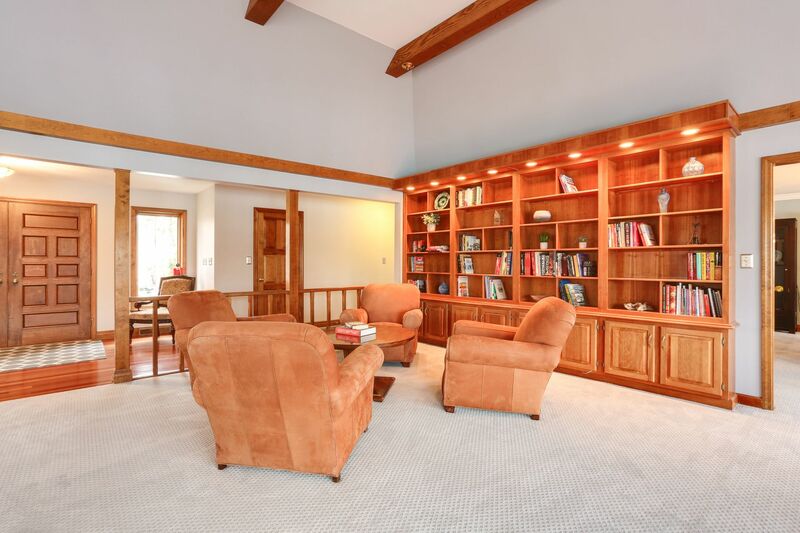 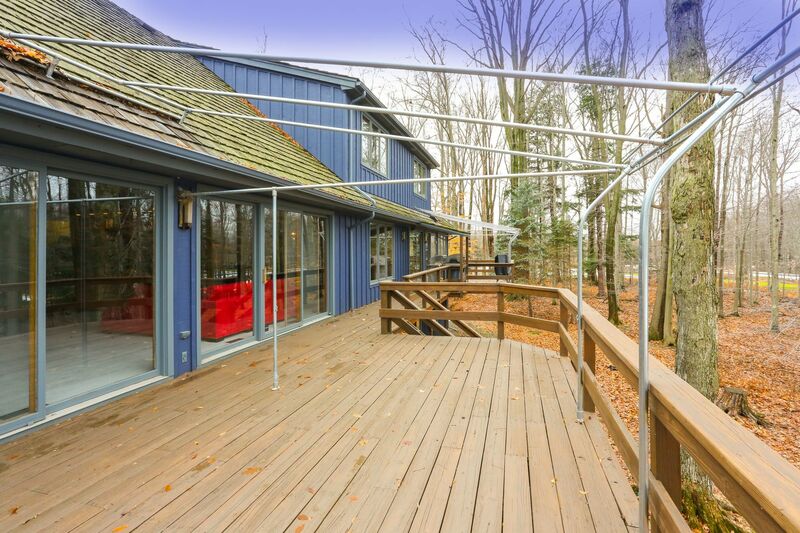 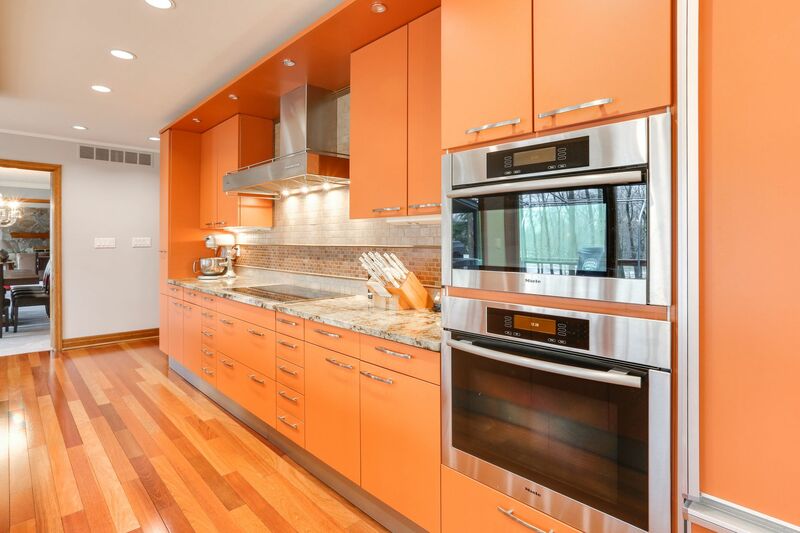 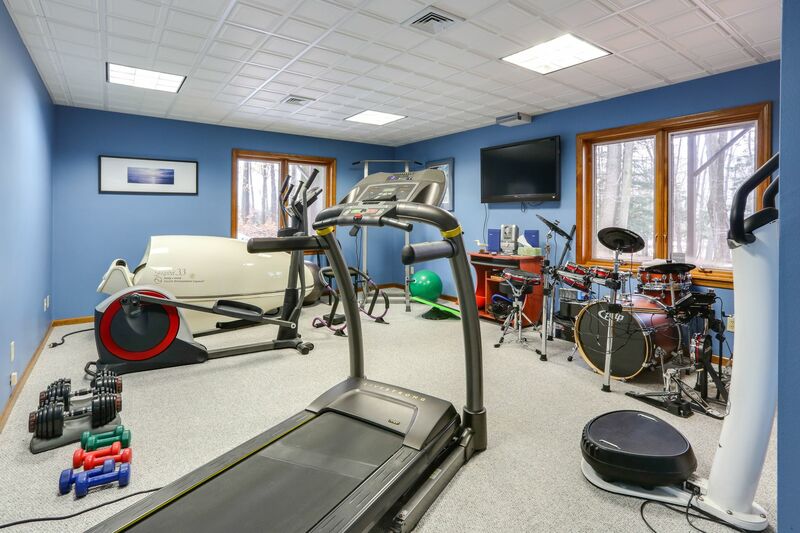 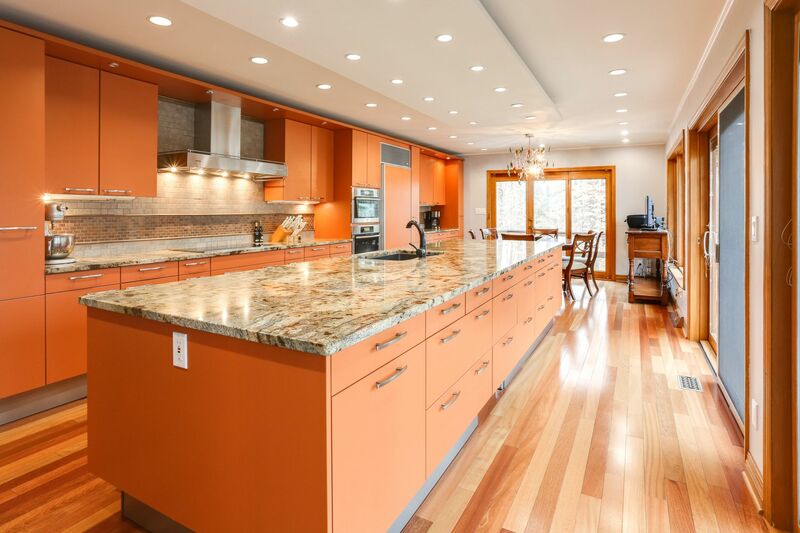 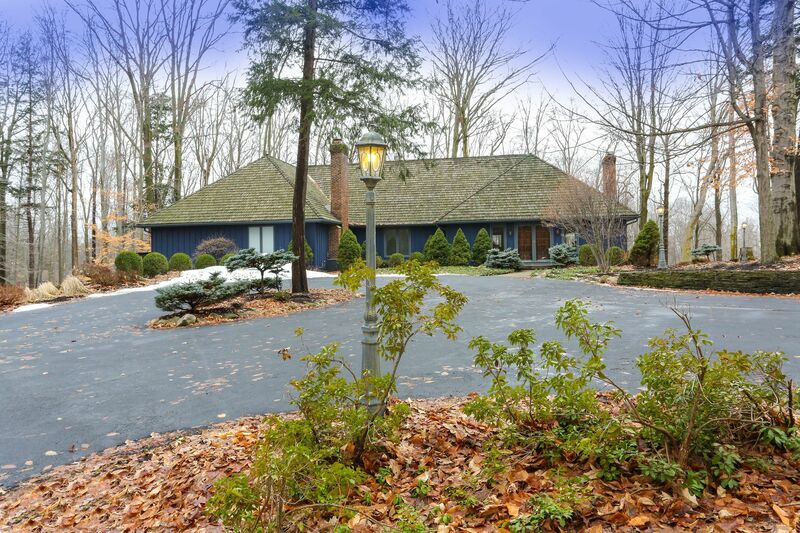 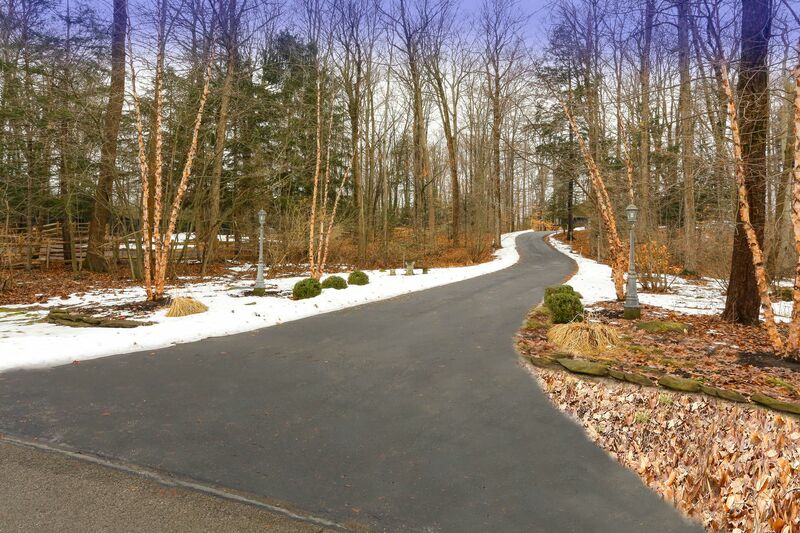 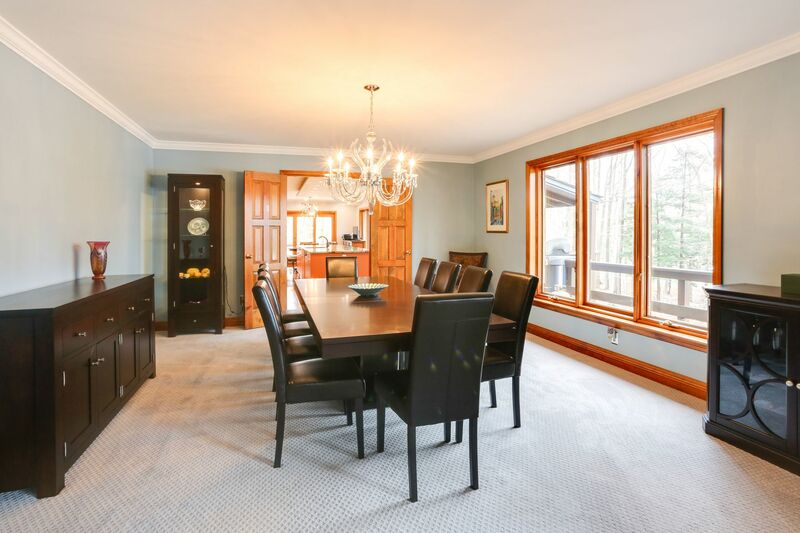 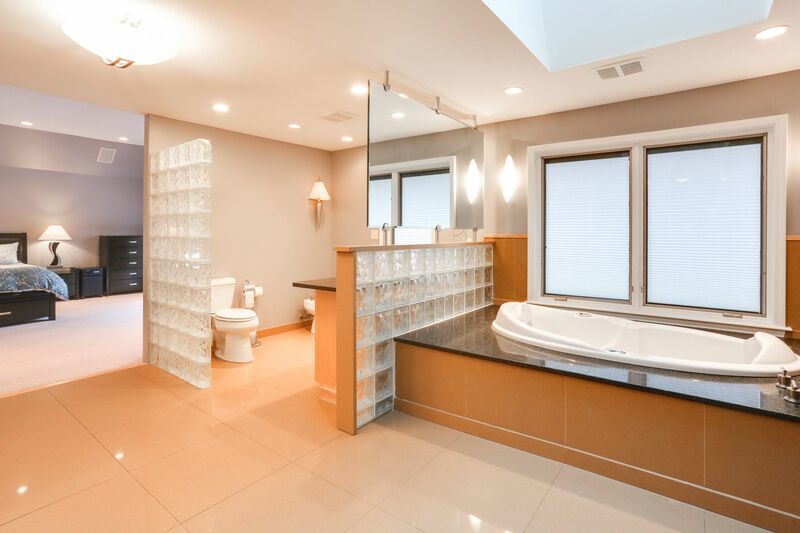 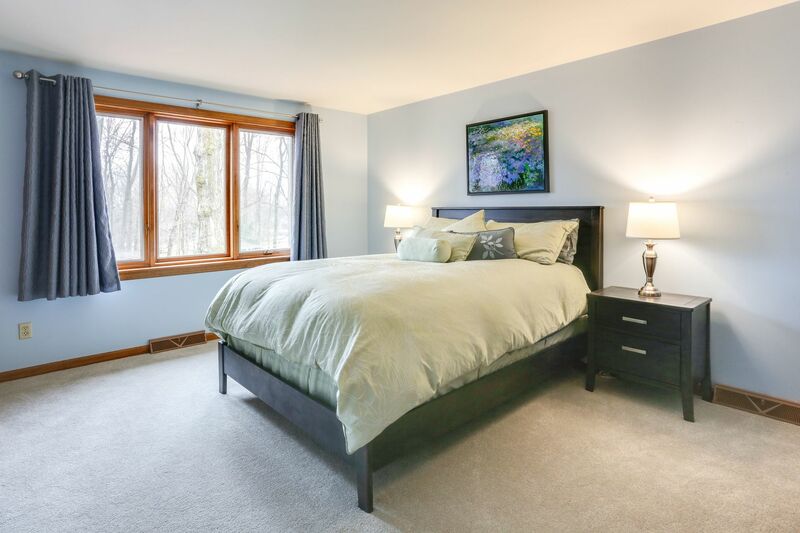 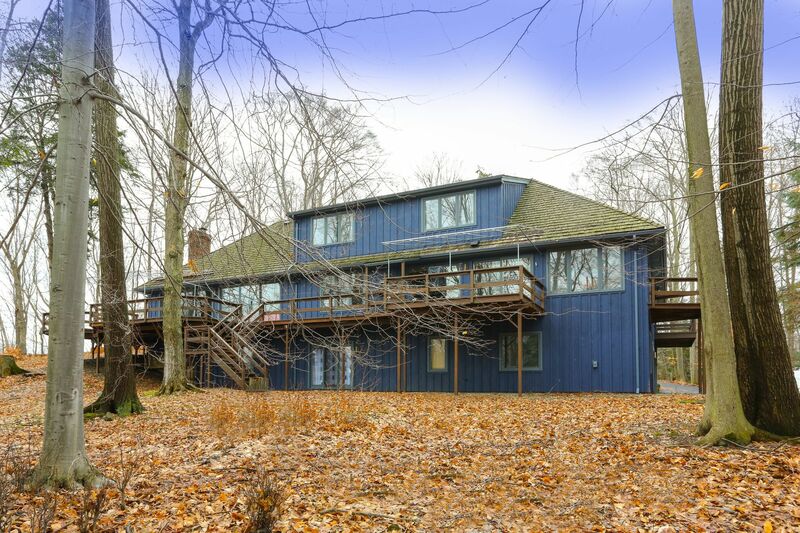 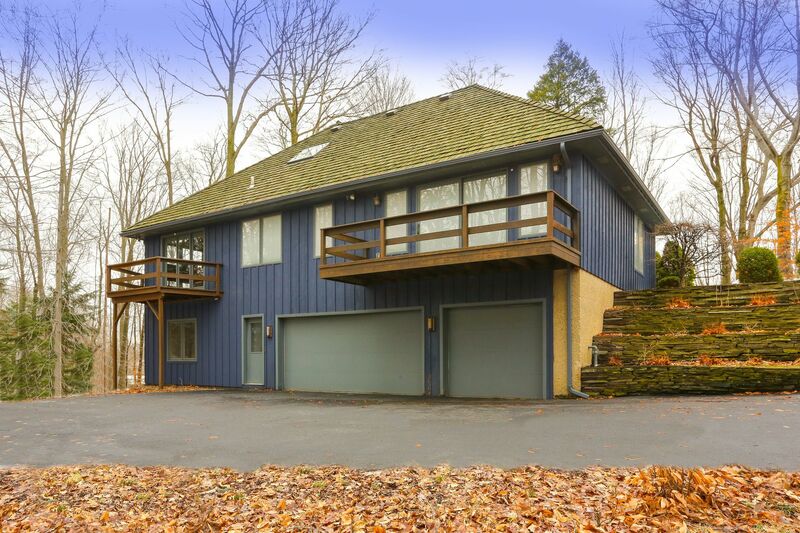 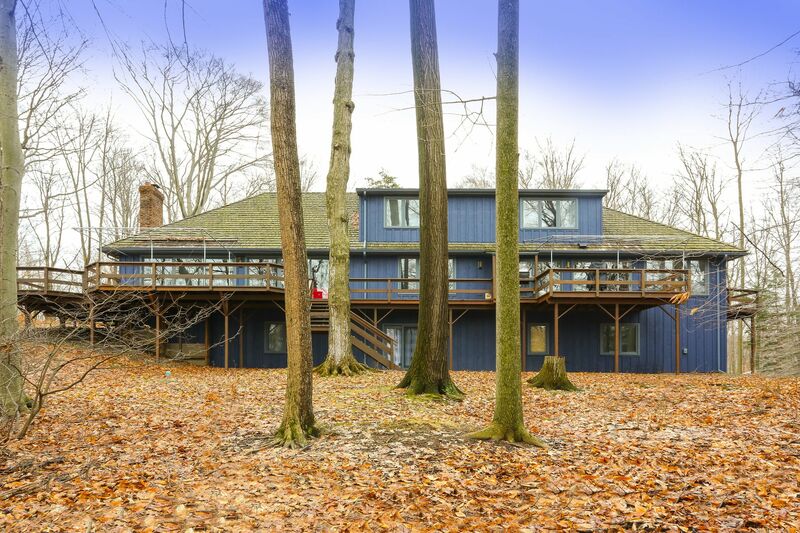 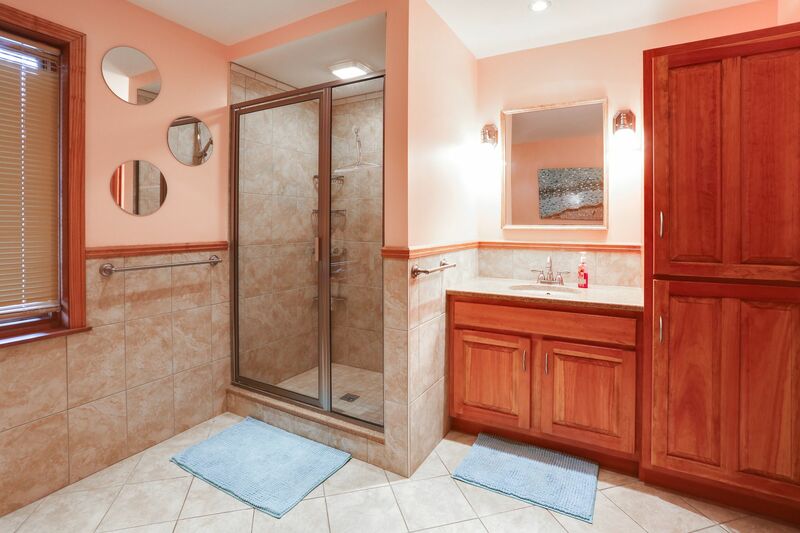 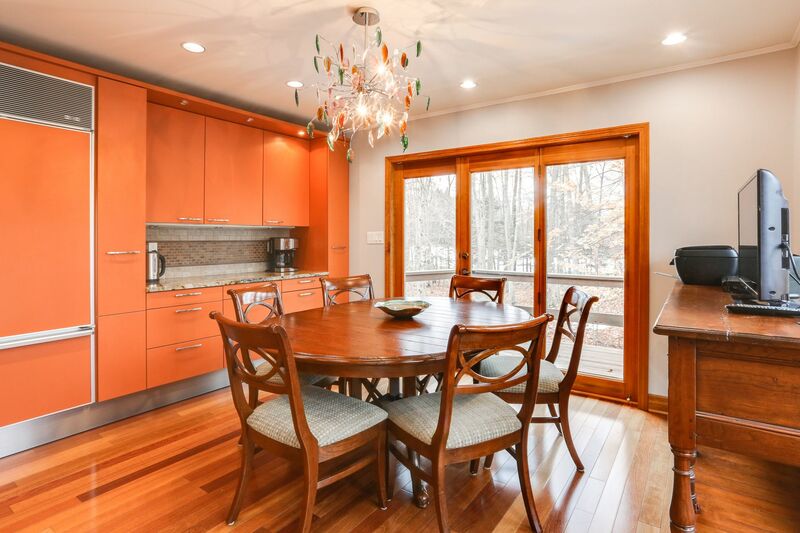 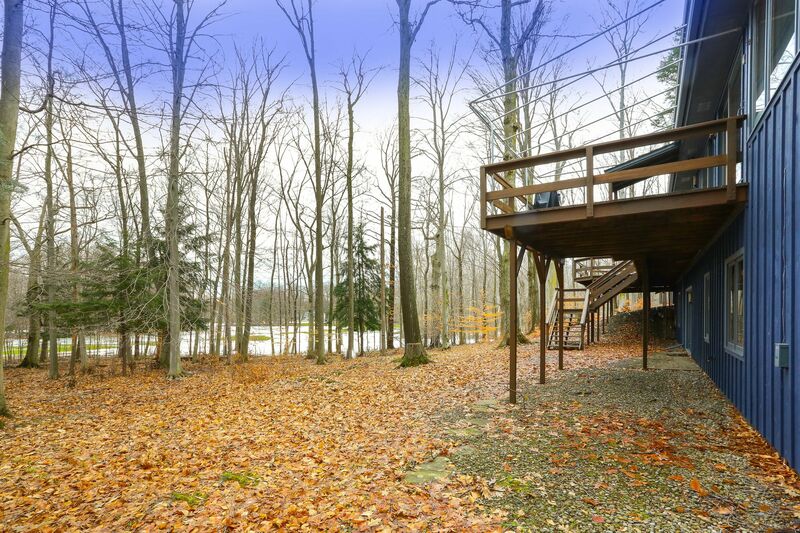 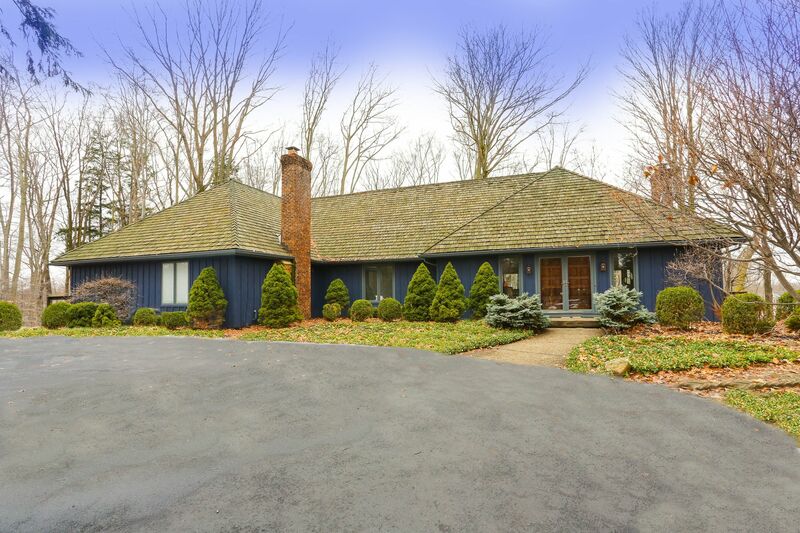 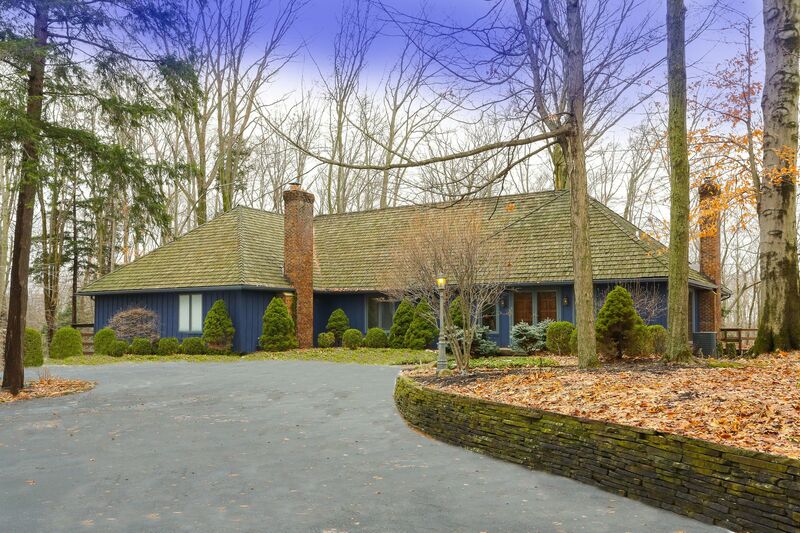 Striking Contemporary on 2.5 Private, Wooded Acres! 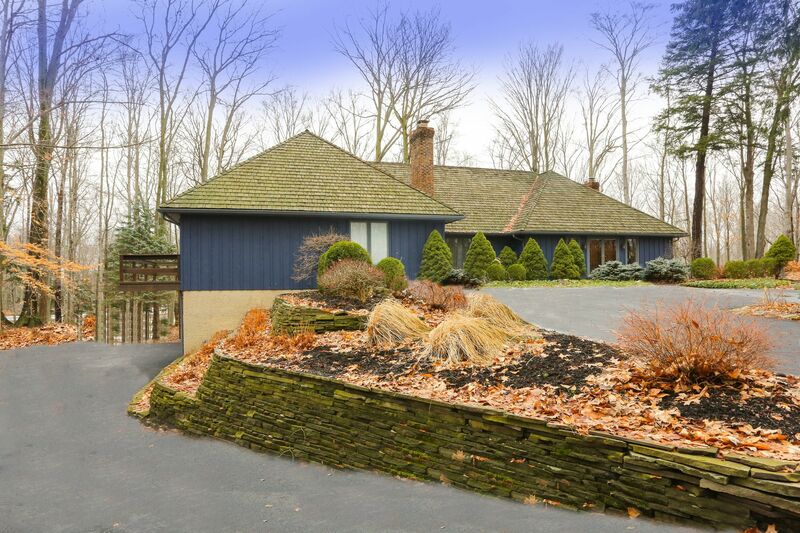 Enveloped in privacy, this updated, custom contemporary home is located on the 5th fairway of Crag Burn Golf Club, one of the region's finest. 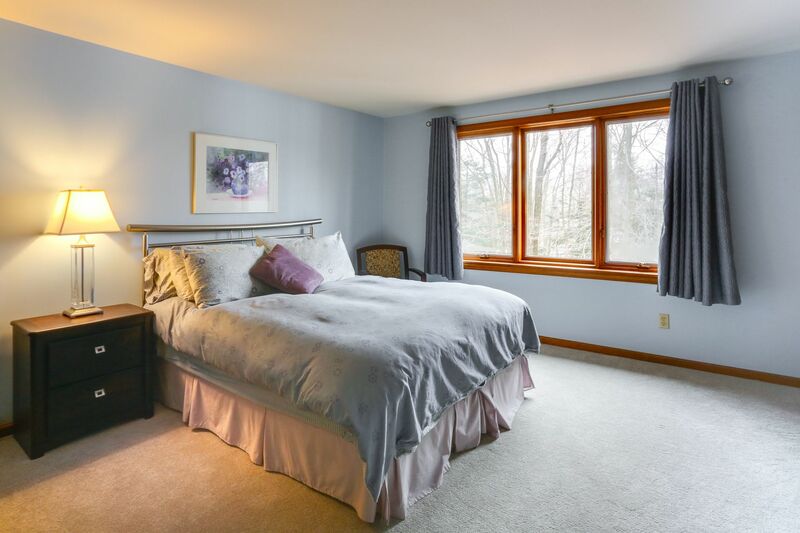 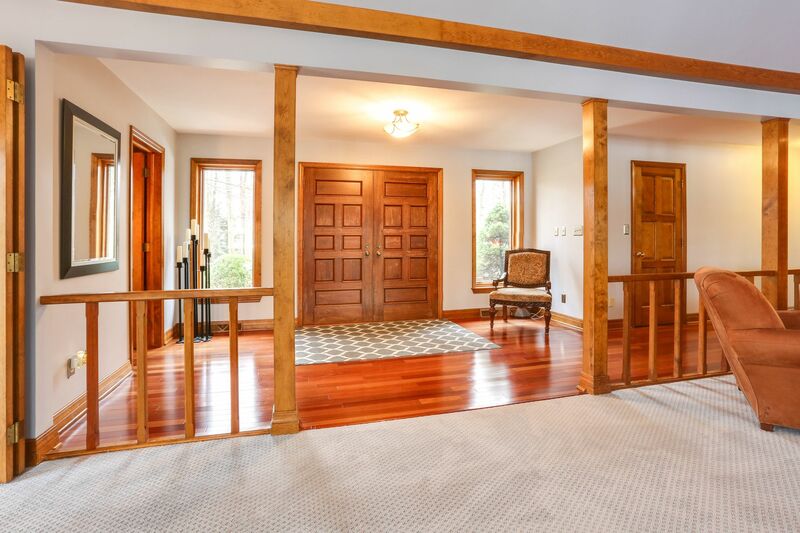 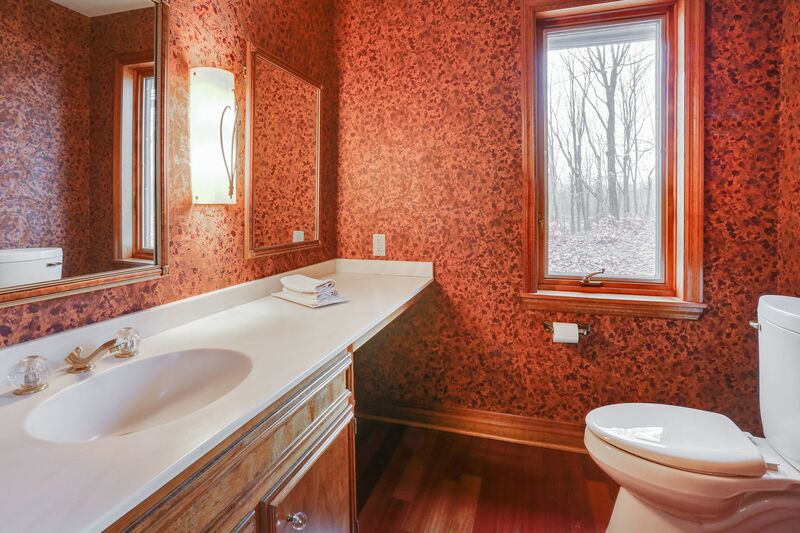 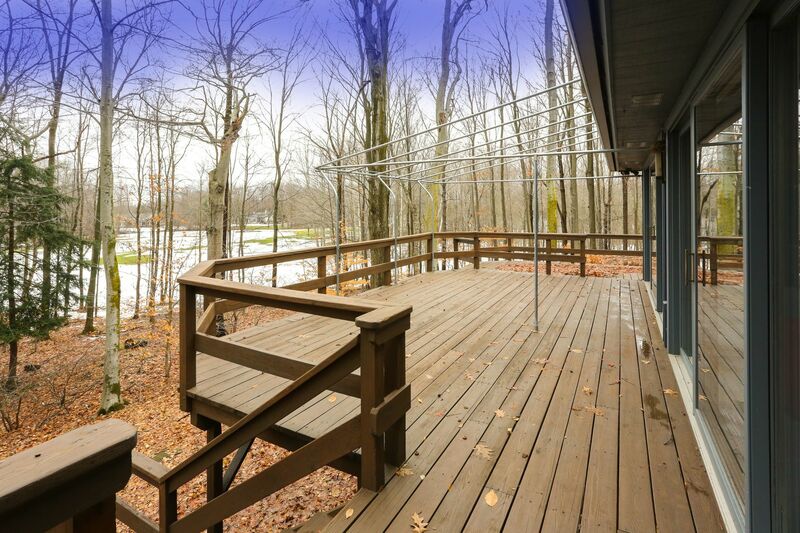 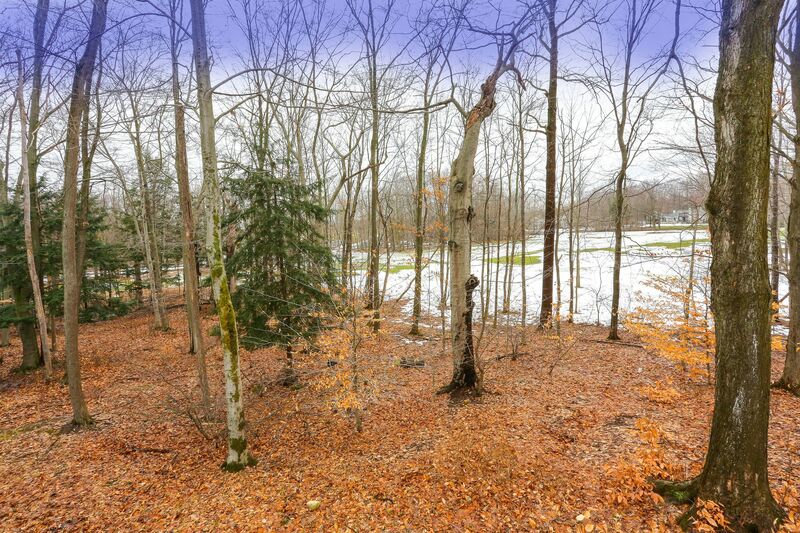 Amazing views from every window of the 2.5 wooded acres await. 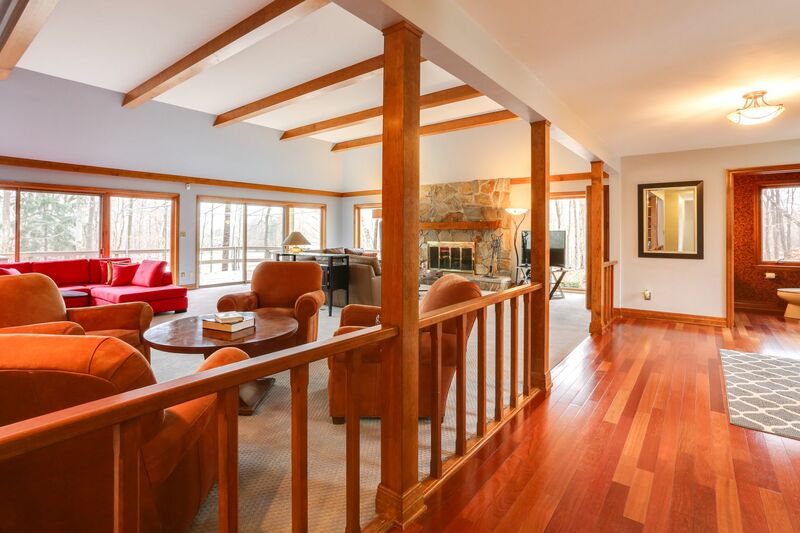 With an open concept, spacious rooms, and expansive, elevated decks, this home was built for entertaining. 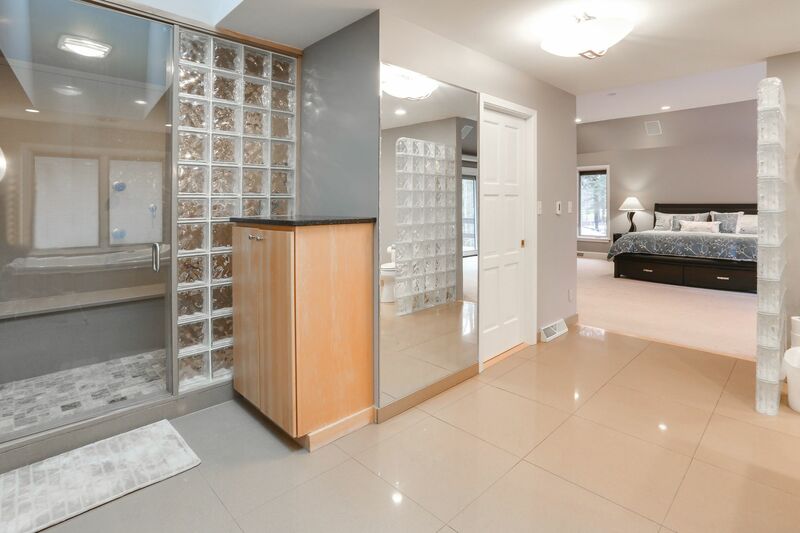 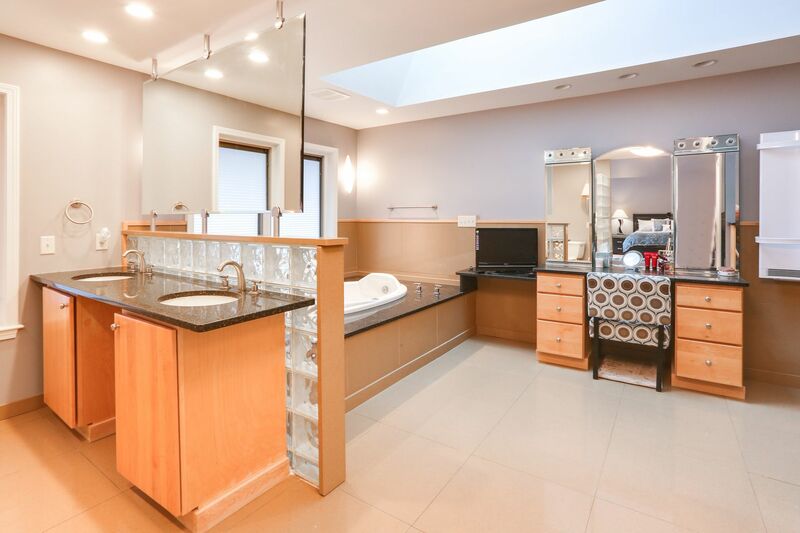 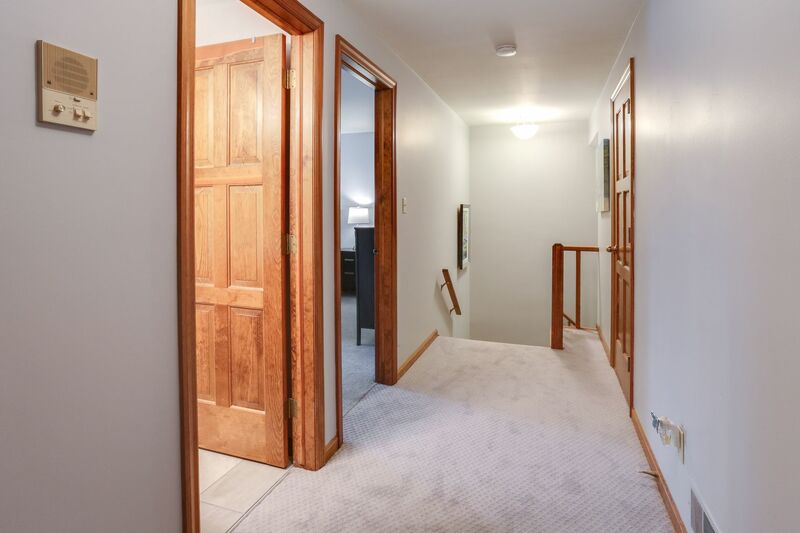 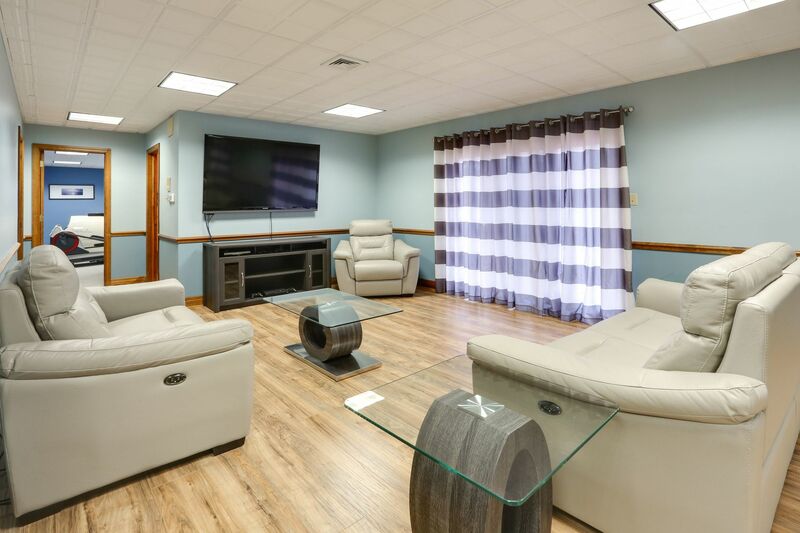 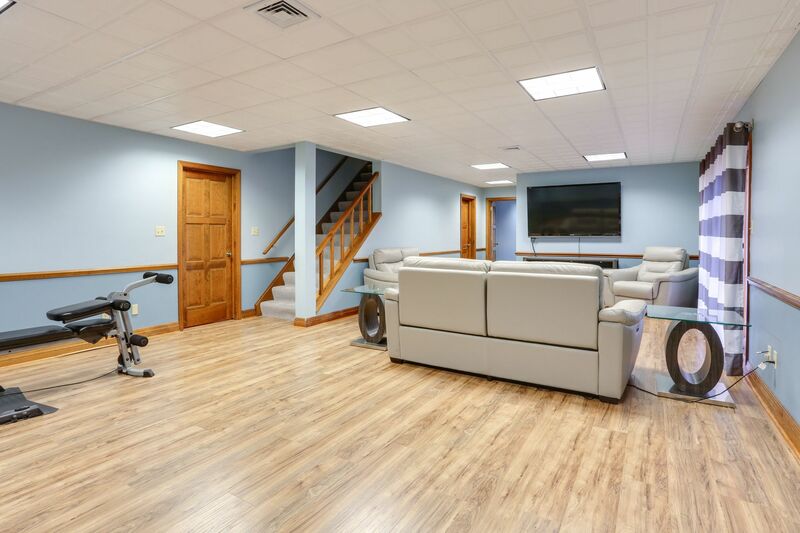 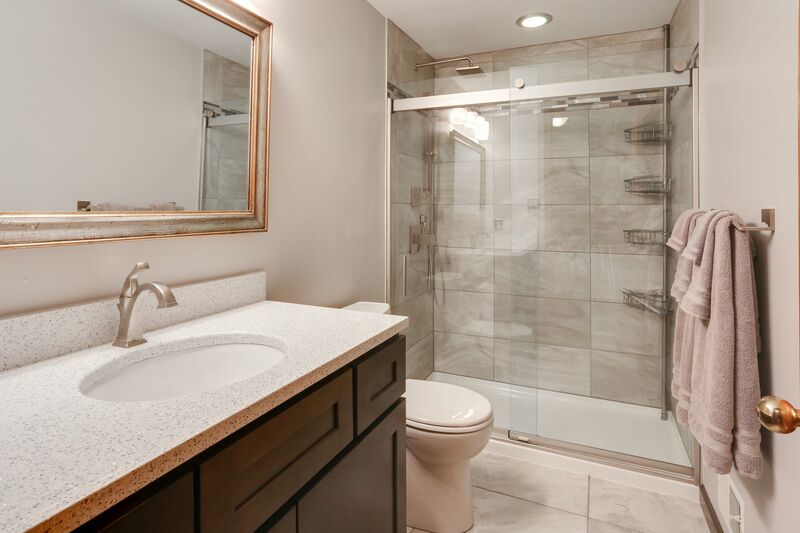 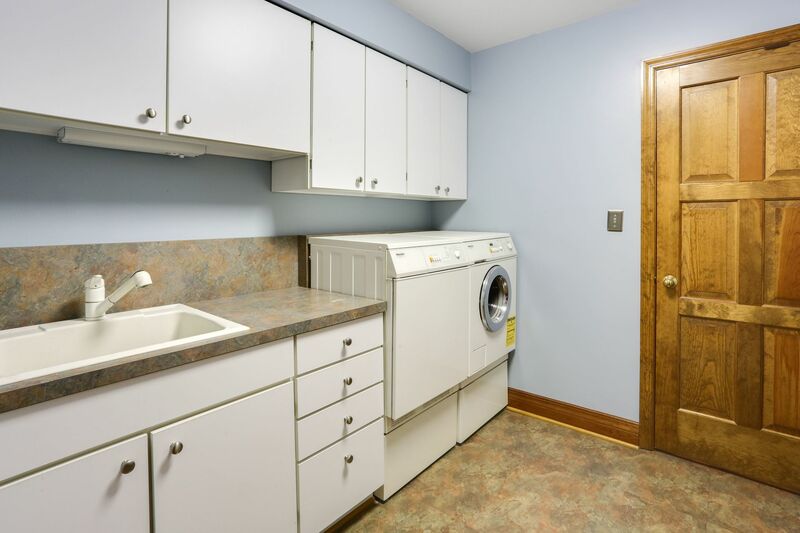 The three levels of living space include a finished, walk out basement with bedroom, full bathroom and recreation area, a 3.5 car heated garage, 2 laundry facilities, a first floor master suite, and a total of 4 bedrooms, 3 full and 2 half baths. 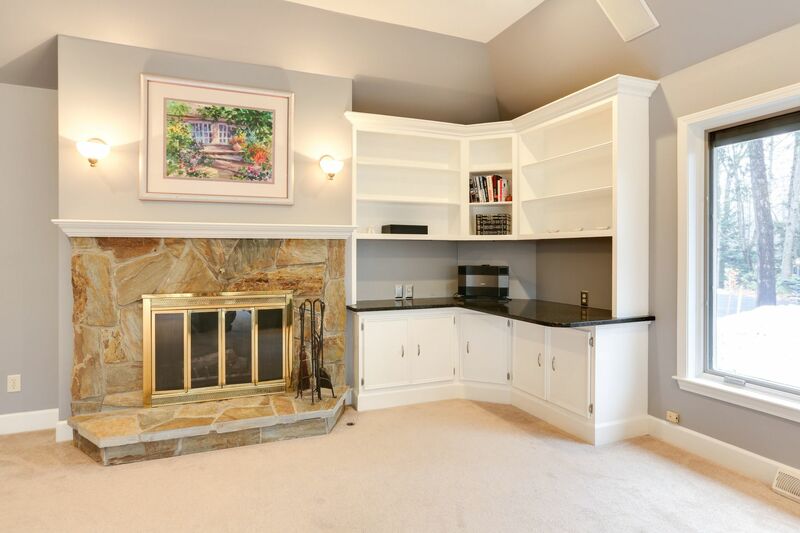 The newer roof, mechanicals, and numerous cosmetic updates make this home move-in-ready. 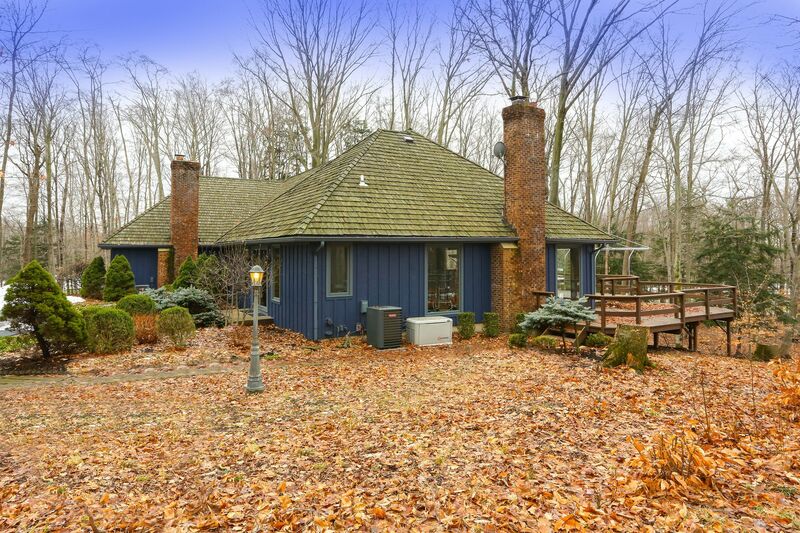 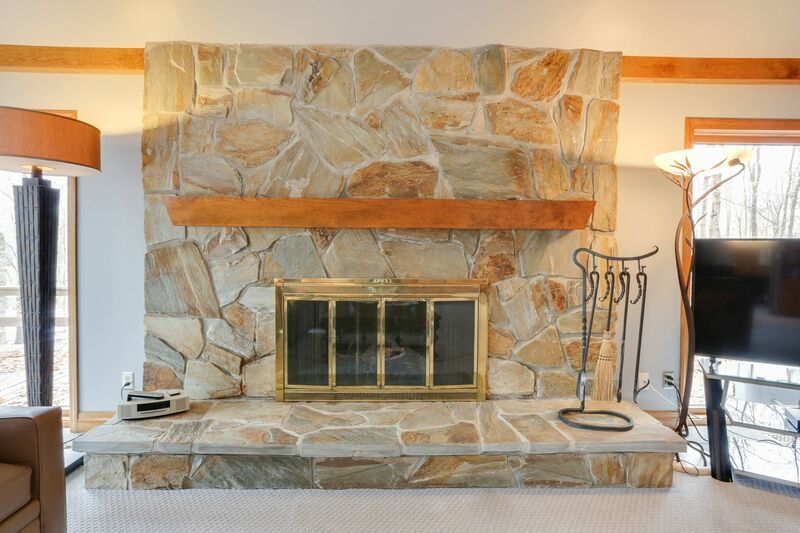 This gorgeous home is located in secluded Crag Burn Village, just minutes from the Rt. 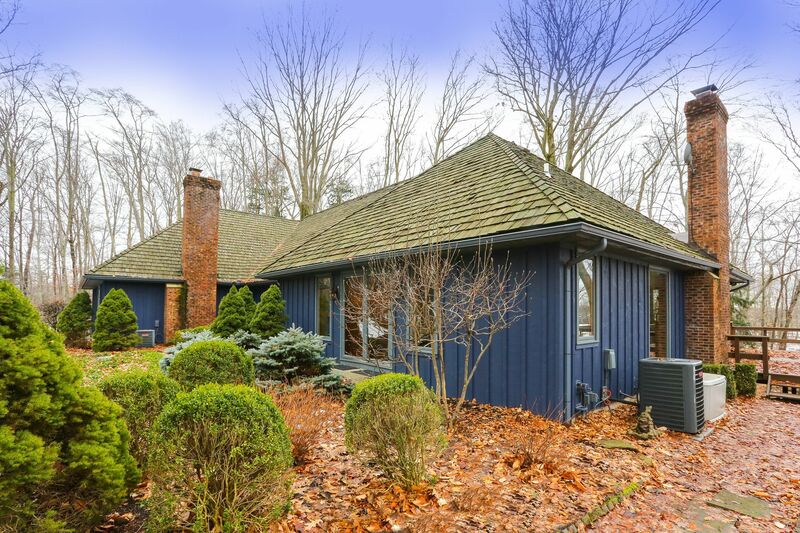 400 and the quaint Villages of East Aurora and Orchard Park.